Seriously, how awesome is this seat cover? 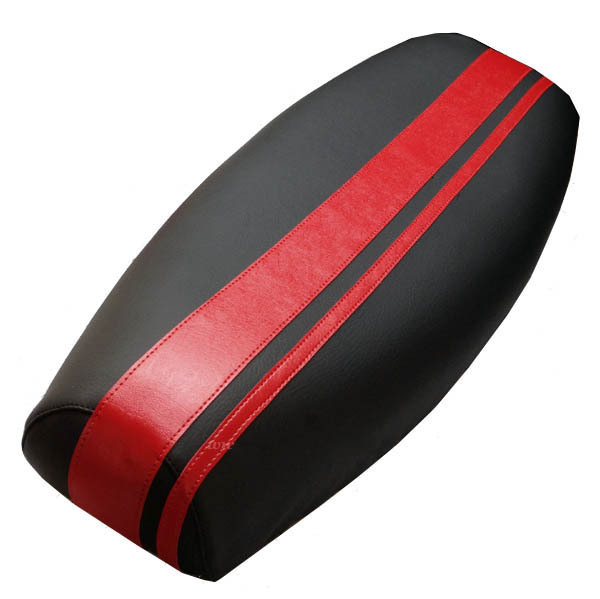 These racing stripes will look amazing on your Stella, we have the same seat cover on our own Stella! Have the scooter that everyone notices! Our premium matte faux leather has a soft luxurious hand like calves leather, and is waterproof, UV stabilized and super rugged. The matte surface provides a superb anti slip riding experience. We offer a less expensive version of this cover on our marine vinyl, shown HERE with white stripes. Other color stripes available.